This week our special of the week is Bacon Wrapped Chorizo and Pimento Cream Cheese Stuffed Jalapenos by Chef Michael Bellamy. 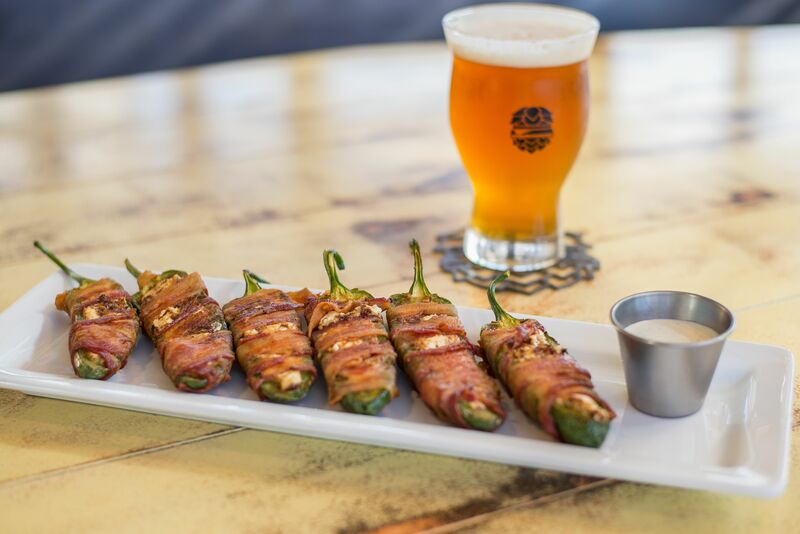 These jalapeños are wrapped in bacon and stuffed with our pimento cream cheese mixed with choriz. With buttermilk ranch for dipping! We suggest pairing this burger with a IPA. Make your stomach happy this week!